With recent crime figures showing that burglaries in the UK have risen by 32% over a 12 month period, with 28% of burglars gaining access via a rear window, there has never been a better time to secure your home. From extra locks on your doors and windows to installing a burger alarm, security lights and sometimes even CCTV, most of us will do anything to protect our homes, belongings and loved ones. But if you’re looking for an extra layer of security in your home, security shutters may be the solution for you. Far from the rattly, rusty steel shutters seen on many run-down properties on the high street shops, our Portchester aluminium security range offers unparalleled home protection without compromising on looks. Our Portchester security shutters are durable and incredibly hard wearing, featuring a powder coat for a long-lasting and anti-corrosion finish. And for added reassurance, our security shutters are CE certified to meet the EU’s rigorous quality standards. Unlike traditional security shutters that are often unsightly and built for purpose with design an after-thought, our Portchester security shutters combine strength, security and elegance in a one-of-a-kind package. 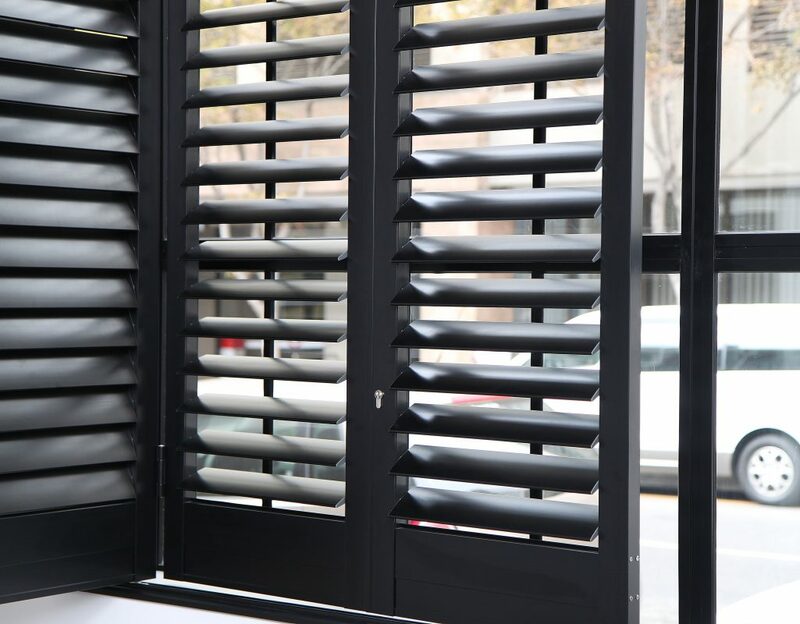 With adjustable 89mm louvres, Porchester security shutters allow you to control the air flow coming into your home, helping you to control seasonal weather elements, meaning you can minimise the sun’s heat in the summer and retain warmth during the winter. As our Portchester security shutter range resembles our existing shutter products, you can mix and match shutter styles while enjoying a consistent design throughout your home. Our security shutters are available in full height as well as bi-fold and on a bypass track system. As well as standard deluxe colours, a custom colour option is available to suit your interior design tastes. Our security shutters offer complete privacy control and also provide excellent light control, allowing you to get the right sunlight levels the way you like them. Made from architectural grade aluminium, our security shutters are corrosion resistant, hard-wearing and work both inside and out, while looking just like any other plantation shutter. Our Portchester security shutter range offer your home an extra layer of protection. If you’re interested in extra home security, contact us today on 0203 960 69 63, and take those first steps to making your home as safe as it could possible be.